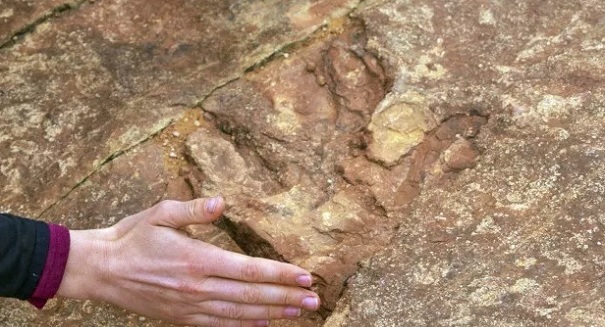 Tourists are tossing 200 million year old dinosaur tracks into a nearby reservoir, apparently unaware of their significance. Visitors to Red Fleet State Park in Utah apparently cannot resist picking up large stones near a reservoir and then hurling them below to get a satisfying splash. The only problem is that the stones they are throwing are actually 200 million year old dinosaur tracks, and it has created a crisis of sorts for Utah park officials. Red Fleet State Park is known for its dinosaur footprints, but many tourists who visit are not aware of that. And unfortunately vandalism of those tracks are increasing, officials say, with visitors dislodging the tracks at an alarming rate in just the last six months. It has even prompted officials to consider hiring a dive team to retrieve some of the priceless rocks, although they realize that most of them will probably be destroyed anyway. Instead, officials are putting up signs warning tourists against throwing the rocks, which are often three to 17 inches in width. Authorities estimate that at least 10 of the larger more visible dinosaur footprints have been thrown into the reservoir.